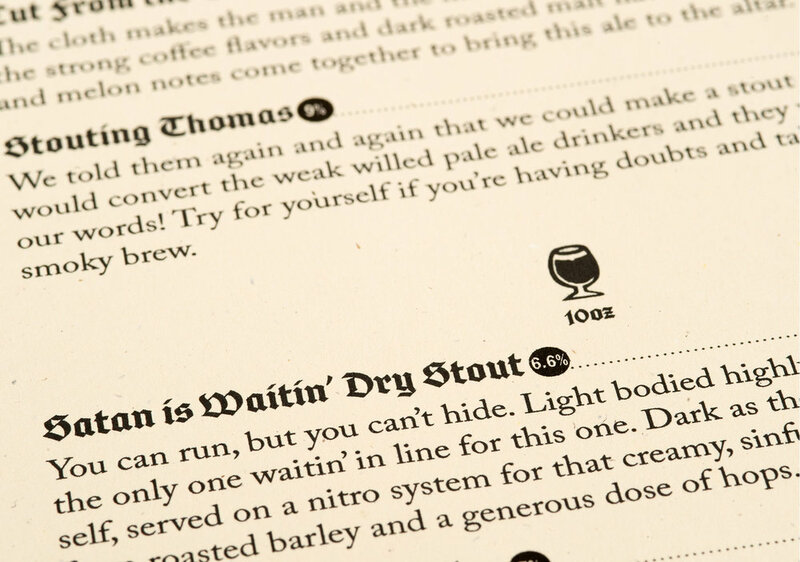 Holy Hops is a conceptual biblical themed brewery identity I authored. In this project i wanted to spread my pun wings and really have fun with the copy. For the visual elements I made vector illustrations and went back and hand cut them into linoleum stamps for a rougher look.